Read 2 times. Last read December 30, 2011 to January 1, 2012. The five star rating above is mine. As the author, it is, of course prejudiced. Disconcerting. Painted Black hits you below the belt. Street kids, hustling, poverty, drugs, child abuse ... and all this happening in a developed country. We always knew they existed. Yet somehow these things have always come to be associated with the third world. This is where Painted Black scores. The characters may be fictional but the backdrop is real and their travails present us the dark side of urban America. Kudos to author Deb Borys for weaving an edge-of-the-seat story around such sordidness. Very real characters, a fast pace, pithy dialogs - Deb succeeds in making this a fairly entertaining read. The denouement, however, was a bit of a letdown - I found it succumbing to the demands of the traditional plot-driven model. While the imagery of a wall painted black with a red door is used very well in an earlier chapter, I was a tad disappointed that the opportunity to take the imagery to conclusion given what happens in the later chapters, was not capitalized. The book left a lingering impression long after I finished reading (that too in a single sitting, well almost). It made me reflect for a long long time on the trials and tribulations of Cry and his ilk, and what we - the relatively more fortunate ones of the world - can and should do about it to make this world a better place. If that does not make Painted Black a winner what else would? 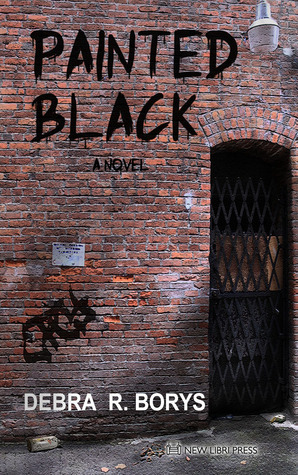 Sign into Goodreads to see if any of your friends have read Painted Black.